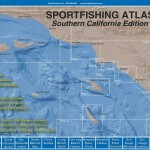 With official data obtained from the government of Mexico, our fishing chart of the sleepy sportfishing destination of Mulege covers the fishing areas accessible from Santa Roaslia, including Isla Tortuga and Isla San Marcos, south to Punta Santa Teresa – located some 30 miles down the coast from Punta Chivato. 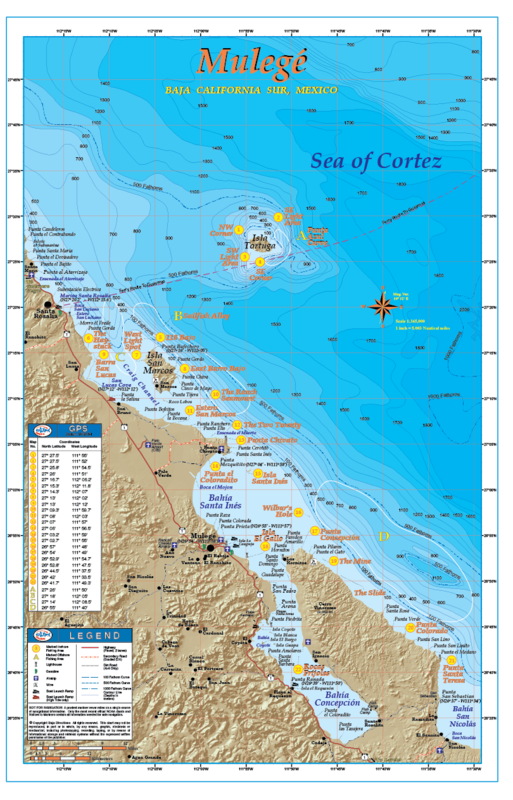 This chart in fact ends up overlapping our Loreto chart at Bahia San Nicolas. 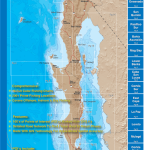 The title “Mulege” is definitely a misnomer however, as much effort has been given to incorporate fishing information for areas directly accessible from Santa Rosalia, San Lucas Cove, Punta Chivato and Bahia Concepcion, as well as from Mulege. 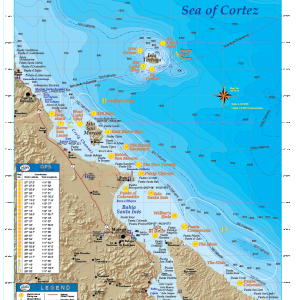 Our Mulege chart features updated underwater contours (bathymetry), “3-D” land, road and facilities information along with popular inshore and offshore fishing areas such as the 110 Bajo off the north tip of Isla San Marcos, the Haystack just north of San Lucas Cove and the fabled Punta Azul Curve at Isla Tortuga. 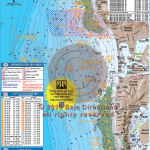 The backside of the chart has large-scale individual charts of Isla San Marcos, Punta Chivato and Bahia Concepcion, as well as a seasonal fishing calendar. 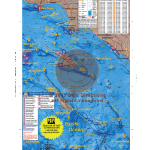 This full color, high-resolution chart is currently available exclusively in our popular 11″x17″ laminated format. 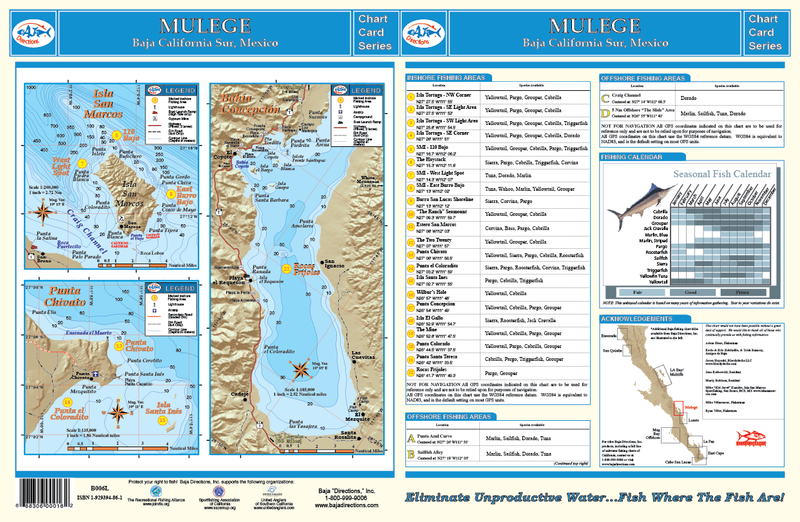 Be the first to review “Mulege” Click here to cancel reply.